Cycling Southland's Sophie Williamson and Dylan Kennett of Canterbury impressed with podium finishes in their first race on their American buildup to August's UCI Juniors Track World Championships. The New Zealand junior track endurance cycling team officially began it's off-shore build-up on Monday in the searing heat of Wisconsin in the first of a five race haul in the Badger State in prepartion for the World Champs which will be held at Invercargill's Stadium Southland Velodrome in August. Canterbury’s Dylan Kennett and Southland’s Sophie Williamson crossed the line in 3rd place in their respective races at the Dairyland Waukesha Criterium. Coach Ross Machejefski said the New Zealand contingent of six riders rode beyond expectation, in just their first race of the middle-American leg of their US tour. 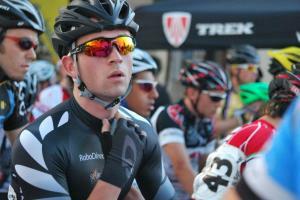 “For a first race, I thought the team rode really well. They did just as they were instructed to by the coaches,” he said. This six corner criterium was a reasonably flat 1.4km circuit around the dense urban areas of Waukesha, WI. After riding such a technical course in draining heat, the team valued their rest overnight before backing up in the Greenbush Road Race in picturesque Sheboygan County, WI today (Tuesday) New Zealand time. Williamson's class again shone through as she finished 4th in the pro women's field, while Canterbury's Hamish Schreurs and Tayla Harrison finished 5th and 6th from a breakaway of 11 riders in the pro men's race; which was won by former pro tour rider Frank Pipp.